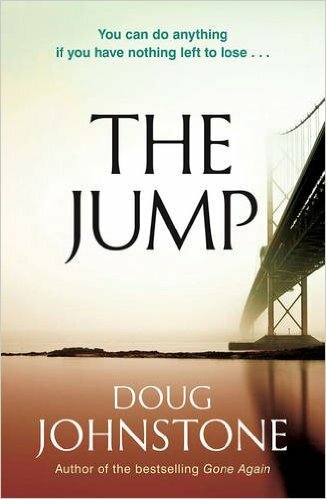 The Importance Of Being Honest: A Review Of Doug Johnstone’s The Jump… | Scots Whay Hae! Both are trying to make sense of what has happened and whereas this is where faith and religious belief would have once been widely used to offer some form of explanation, in an increasingly non-theistic society other things have come to replace those beliefs as people will always strive to find comfort and ways to cope where they can. Ellie and Ben are trying to make sense of something which will never be fully resolved, and this causes them to become increasingly remote at a time when they need each other the most. Ellie sees a chance for redemption when she stops teenager Sam in his own suicide attempt. Their relationship is complex from the start as she cannot help but see him as a surrogate son, and vows to save him from his life and his possible fate which it seems is inevitable. This leads her to be involved in events which are truly terrifying and shocking. To say that Sam comes from a dysfunctional family is perhaps the greatest understatement you’ll read this year, and as Ellie becomes more involved her situation careers out of control, yet she seems to manage it, as if her state of shock allows her to act without fear and with an unexpected inner strength. She has reached the stage where she believes she has nothing to lose and this gives her a determination and courage which at times borders on the unbelievable. What prevents this are her moments of clarity where she joins the reader, and latterly Ben, in thinking, “What the hell have I just done?”. Writing about suicide and its aftermath is fraught with danger, but there are two aspects of Johnstone’s writing which meant I didn’t fear he would treat it with anything other than the greatest respect. Firstly, he always researches thoroughly any topic he is going to be dealing with. In the past this has included missing persons and mental health. Not simply content to rely solely on any personal experiences he may have, he looks at all points of view and learns as much as he can about a subject. This gives his writing an authority which many others lack, and although he (crucially) doesn’t force this research on the reader, it’s always there in the background; an authorial voice to be trusted. The other vital aspect of his writing is that he is determined to be honest, with himself, his characters and his readers. He sees it as his duty as a writer not to take any easy options which could trivialise events. This means he will take you to places which are dark, disturbing and where some people will not wish to go, but the shocks are never schlock. He is not afraid to show the worst in people, but also the best, and sometimes, confusingly for some, they are to be found in the same individual. This is not panto, where who is to be booed and who is to be cheered are clearly signposted. Johnstone gives no easy answers as he is dealing with subjects which have no easy answers. You have to work out what you feel, which can make for an uncomfortable experience, but if you are prepared to do the work you get so much more out of The Jump than you perhaps expect to. It’s overly simplistic to split Johnstone’s books in the way I did at the beginning of this review. There are strong elements of family life in all of his work, and no matter which novel you read you immediately know you are reading one written by Doug Johnstone. He creates momentum like few others can, taking out all unnecessary plot and superfluous detail to make sure nothing gets in the way of the story he wants to tell. But with The Jump, as he did with Gone Again, he has written a book which not only holds up a mirror to modern society and how we react, individually as well as collectively, when tragedy strikes but which makes readers ask themselves the most difficult question possible, “What if that happened to me?”. Not always easy to read, and I’m guessing not easy to write either, The Jump again proves that the dramas that matter most are more often found in family life and few writers understand that better.